Since my last post, I’ve developed a particular sensitivity to the language surrounding Australia’s marriage equality process. Billed by the government as a plebiscite using ‘one vote one value’ (Matthias Cormann on 10 August), a ‘democratic right’ to ‘vote’ on the question of marriage equality (Julie Bishop on 10 August), and having ‘the look and feel of an election’ (Allan Tudge on 9 August), in fact the government has directed the ABS to run a survey. The legal questions as to the process therefore centre on the lawfulness of the direction under the Australian Bureau of Statistics Act, and the question of funding. The High Court of Australia will today hear two challenges to the survey. While some have expressed the challenge in terms of its undemocratic nature, I can’t see that this is relevant to the question of the lawfulness of a *survey*. Questions about democratic process are valid. But these are not legal questions to be heard by the High Court so long as the relevant process occurs under the Census and Statistics Act. The relevant processes are the processes of surveys and of statistics. Statistics involves questions such as sample size and selection, population distribution, and the like. Survey methods go to the reliability of inferences drawn from the analysis. They do not involve questions of fairness, rights, legitimacy, or democracy. Further, a survey instrument is not a ballot and a survey response is not a vote. Defects in sampling methods are not voter fraud. Because the government promised a plebiscite, we remain focused on democratic process and so we continue to frame our questions in this way. Even government ministers are stuck in their own language of a citizens’ vote. But until we can clearly analyse the reality of the legal background to the process as one of statistical collection, we will be less able to analyse its validity – both under the law, and as to its ultimate statistical outcome. The Australian government has, notoriously, decided to run what it calls a plebiscite on the question of marriage equality in Australia. It will put up a bill to set up the running of the plebiscite as a mainstream vote, but this is expected to fail. Its fallback position is to have the Australian Bureau of Statistics (‘ABS’) run a voluntary postal vote. On a straightforward reading of the relevant statutes, it is unlikely that the ABS is empowered by its legislation to run the vote. The former head of the ABS appears also to hold this view. The Law Society of New South Wales (‘LSNSW’) has recently released its flip Report (the Future of Law and Innovation in the Profession). Through submissions and a series of hearings between May and November 2016, the Futures Committee has provided the profession with a readable overview of the contemporary environment for the practice of law in New South Wales. And, I dare say, in the rest of Australia and probably beyond. The Report responds to the exponential rate of change faced by the legal profession, notably through the advent of new technologies. It provides not only a series of key findings, but also a series of recommendations concerning the role of the LSNSW in supporting innovation in the profession. In this post I provide some initial thoughts on the overarching approach of the Report. When should an MP claim expenses? MPs are currently battling public perceptions of their use of parliamentary entitlements. On the radio this morning, the Trade Minister effectively told listeners that it was the core business of MPs – and ministers in particular – to use the entitlements system to attend corporate boxes at high profile sporting events where public companies showcase themselves. Parliamentarians talk of reform to the system, but sadly, the lack of action reveals the pervasiveness of entitlement gratification. To assist MPs in understanding whether an event warrants a call on the public purse, I have designed this modest flow chart. I have just spent a stimulating and inspiring two days at ANU College of Law in a consultation workshop as part of an important research project into Indigenous cultural competency for legal academics led by Marcelle Burns of UNE. The project is funded by the (now sadly defunct) Commonwealth Office of Learning and Teaching. This is a project of substance, and of national importance. The standing of the project leaders and those who participated in the workshop is testament to this. I emerged from this overall positive discourse to news that former Prime Minister John Howard found ‘appalling’ the idea of a treaty with Indigenous Australians, and that former Prime Minister Tony Abbott dismissed a treaty out of hand. In the first place, Mr Abbott said, a treaty is entered into between two nations – I suppose he means that as a definitional question this is a logical impossibility, for Indigenous Australians hold no seat at the UN (incidentally an institution of which Mr Abbott does not approve). In the second place, Mr Abbott said that going down the path of treaty would spoil the chance for constitutional recognition of Aboriginal and Torres Strait Islander Australians. These two comments offer a case study in the very issues that occupied our thinking in the workshop. How could it be that two men could rise to be Prime Minister of Australia, senior lawmakers, with such an abject lack of the knowledge, skills, and attitudes that sound in inter-cultural competence – a necessity for all professionals but in particular for lawyers. News that Deakin University lecturer Martin Hirst was stood down without pay over three tweets, caused ripples of concern in the twittersphere and in the academy. Since the story first broke, Hirst has been sacked pending a decision to appeal. His employer’s position is that Hirst has breached the university’s code of conduct. The university had received a complaint from a Deakin University student that Hirst tweeted to the complainant in a threatening way. When the University inspected Hirst’s private account – that did not identify Hirst as a Deakin employee – it found two further offending tweets and suspended him. Hirst maintains that he did not know the complainant was a Deakin student. This is not the first time an employee has had their job threatened by a social media post. In 2015, SBS reporter Scott McIntyre lost his job following a controversial tweet about the ANZACs. He has since settled his unfair dismissal case against SBS. More recently, La Trobe academic Roz Ward was stood down for comments on her private Facebook page. Her comments did not relate to her work at La Trobe. She has since been reinstated after a massive national campaign. The merger of public and private has never been so stark it seems. So, where might the boundary lie? In what is an increasingly common circumstance, in April 2015 Burns J of the Supreme Court of Queensland granted an application by a Ms Patteson for the removal of her deceased fiance’s testes and sperm. The judgment was made ex tempore – on the spot – in light of the urgent nature of the case. The applicant’s fiance had, sadly, died the night before the judgment. 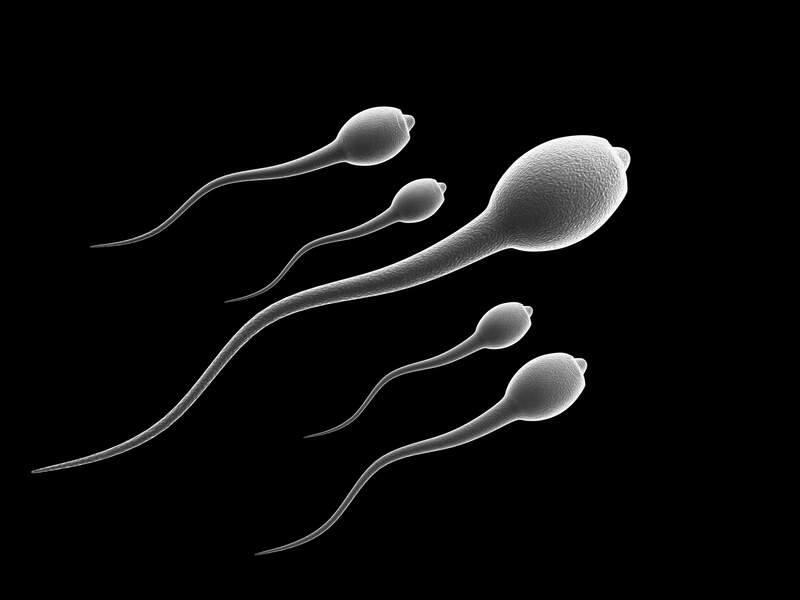 For sperm of a deceased man to remain viable, they must be harvested and properly stored within 24 hours of death. The judge had to decide the matter immediately. In such urgent applications, it is not the court’s role to approve the use of the sperm for fertilisation. The applicant must make a further application to use the sperm. Burns J made it clear that the court’s jurisdiction in this case extended only to approval of the removal of the testes and sperm. Ms Patteson, he said, could return to the court ‘after mature reflection’ to make an application for the use of the sperm for the purpose of fertilisation. While far from the first such judgment, there is one aspect that has arisen before and that prompts some thinking about the basis on which such judgments are made. In doing so, no judgment is made of the applicant or her circumstances, which should at all times be respected. On the contrary, the issues underlying such judgments speak to the system and how the law should consider the body of a deceased. The story of peaceful community activism to prevent baby Asha from being returned to detention on Manus Island has been celebrated. It is right and good that the outpouring of community – and professional – goodwill has at least delayed the return of the infant to what are reported to be the terrible conditions of the detention centre on Nauru. Despite individual ‘wins’ – such as the baby Asha decision – Australia’s asylum seeker laws (and policies) involve unresolved systemic issues. As happy as I am for the temporary reprieve for the infant Asha and her family I cannot help but wonder if wins for individual cases, as important as they are, fail to gain any traction on the central issues. After blogging at Curl on Blogger since 2011, I have made the switch here to WordPress. I intend to continue posting about property law, women and law, and contemporary legal issues but it was time for me to upgrade my blogging platform and take advantage of additional functions. You will still find all my posts on Curl – but the site will now become inactive. I hope that you will continue to read and enjoy!